This blog is part of the blog symposium published in conjunction with a new ACS issue brief: Reforming “Regulatory Reform”: A Progressive Framework for Agency Rulemaking in the Public Interest. View the other blogs in the symposium by Adam Zimmerman, Dan Farber, Peter Shane, and Rena Steinzor. Presidents since Ronald Reagan have, by executive order, required agencies to submit significant regulatory actions to the White House for review. Academic and public interest observers have variously criticized this review as slow, opaque, chaotic, lawless, and power-grabbing. Yet every president in the intervening years has not only embraced but also deepened the control of the White House over individual regulations. Even President Obama, who announced early in his first term that he was conducting a top-to-bottom review of this process, ultimately embraced strict White House control over the rulemaking proceedings of the executive agencies. President Trump has taken White House control over rules to a whole different dimension by ordering agencies to revoke two existing rules for every new rule they issue and by giving them "budgets" for the costs they may impose on private entities. One way to address some of the recurring criticisms of White House review would be for the Office of Information and Regulatory Affairs (OIRA), which runs the review process, to hew more closely to the actual provisions of the Clinton-era executive order that still structures this process. Closer adherence to the existing executive order's provisions on review deadlines, transparency, and an orderly process for elevation of issues to the President would address some of the criticisms about undue delays, a lack of transparency, and a chaotic decision-making process. However, these procedural reforms would not address two basic criticisms: that White House review unlawfully supplants the authority of the agency that Congress has charged with making the relevant decisions and that the cost-benefit criterion that executive orders impose on agency rules is inconsistent with many of the regulatory statutes under which the agencies operate. In addition, the transparency-related provisions of the existing executive order, even if closely followed, would not be sufficient to achieve the degree of transparency we desire. To address these concerns, we propose four additional, and more fundamental, reforms. Our first proposal is to return the White House review process to the understanding articulated when President Reagan issued the first executive order creating a systematic process of White House review. In 1981, soon after he entered office, President Reagan issued an executive order providing for an approval process quite similar to the one that exists today under a Clinton-era executive order. The Office of Legal Counsel in the Department of Justice reviewed Reagan's executive order for legality. In its opinion confirming the legality of the executive order, the OLC emphasized that the executive order did not purport to displace the authority of the acting agency. The OLC stated that "a wholesale displacement might be held inconsistent with the statute vesting authority in the relevant official." We believe the OLC opinion had it right. Just as Congress's instructions as to the decisions an agency makes should be followed and not countermanded by the President and aides in the White House, so, too, should Congress's instructions as to the decisionmaker be followed. Some statutes explicitly delegate decision-making authority to the President; most do not. Yet the existing executive orders on regulatory review treat all laws delegating authority to executive agencies as if they delegate decision-making authority to the President. We think the presumption should be reversed: that laws delegating decision-making authority to executive agencies do not delegate decision-making authority to the President. Our second proposal is to reorient the White House review process to focus on whether a proposed regulatory action is consistent with the underlying statute, and away from the current focus on satisfying a quantitative cost-benefit standard. Very few federal regulatory statutes establish formal cost-benefit analysis as the decision-making criterion. 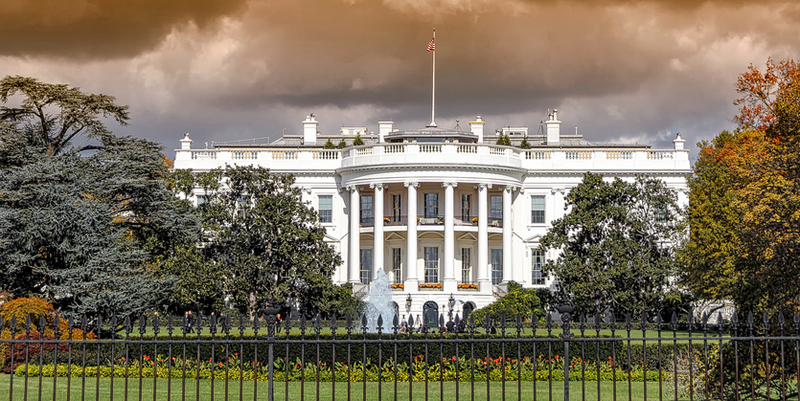 Injection of a formal cost-benefit standard into the White House review process drives a wedge between statutory standards and the standards the White House applies. The current approach inevitably leads to overemphasis on factors that can be easily quantified, encourages dubious efforts to convert all benefits to monetary terms, conflicts with the precautionary approach embodied in many statutes, and disfavors regulatory programs that aim to protect against future harms. For these reasons, we believe that rather than asking, “Does this rule satisfy cost-benefit analysis?,” OIRA should ask, “Does this rule establish a policy that is consistent with the underlying statutory framework and the evidence before the agency? Has the agency engaged in a rigorous analysis of the evidence?” Under this approach, White House review would not inject a new, extra-statutory consideration – satisfaction of a quantitative cost-benefit criterion – into the decision-making process on rules. Respondents' speculation that the EPA is secretly considering the costs of attainment without telling anyone is irrelevant to our interpretive inquiry. If such an allegation could be proved, it would be grounds for vacating the NAAQS, because the Administrator had not followed the law. Courts should not inquire into the decision-making process without a strong showing based on publicly available information. But in some cases, this barrier might be overcome. When further inquiry confirms that the agency’s decision was based on legally irrelevant factors, a court reviewing an agency rule should send the rule back to the agency for reconsideration. Our third proposal is to beef up the existing provisions on the transparency of regulatory review. The Clean Air Act offers a good model in this regard. The Clean Air Act requires the EPA to place in the rulemaking docket all drafts of proposed and final rules submitted to OIRA, documents accompanying them, and written comments by other agencies along with EPA's responses to them. We would propose that these requirements be applied to all agencies and that the documents not only be added to the public docket but be included in the administrative record for judicial review. Our final recommendation would be the repeal of Executive Order 13,771, issued by Donald Trump on January 30, 2017. That order goes well beyond the information gathering and coordination roles on which earlier presidents relied to support the White House review process. Executive Order 13,771 instructs agencies, in order to issue new rules, to identify two existing rules appropriate for revocation. It also instructs OIRA to impose on rulemaking agencies an annual ceiling on the gross costs to the economy that they may impose through new regulations. These provisions, which effectively amend agencies’ existing statutory authorities, go well beyond any constitutionally rooted presidential role; the president's duty is to faithfully execute the law, not to amend the law by executive order.